Cargo began using two of our herbal formulas and started seeing a difference within a couple of days. 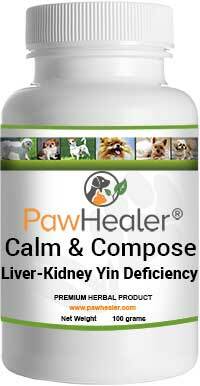 Cargo is using formulas for shoulders and front legs support "Shoulder Front Leg Support" and for infrequent seizures "Calm and Compose Liver - Kidney Yin Deficiency". 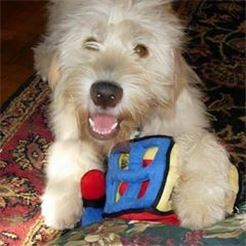 Thank you Jill for sharing Cargo's experience with us we are glad that we can give him some relief with our formulas! "Just started using both, and I have already seen a difference, less panting, better front paw strength and mobility. So far so good, that I want to order more of the same to stock up. Will update in a week. Thanks,"
The formulas that Cargo is using are below.